Ford announced that it will be licensing robotic test driving technology to its competitors in order to save both time and injuries sustained by human drivers in undertaking daunting endurance testing. Ford is just nice like that, ya know. 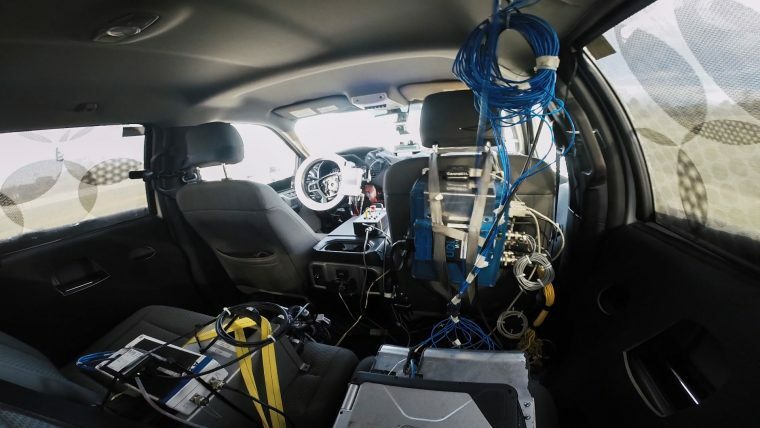 Ford teamed with Autonomous Solutions Inc. to create autonomous robotic driving kits that allowed that automaker to test the durability of new vehicles such as the 2017 Ford F-Series Super Duty without risking the safety of any human drivers. The technology includes a control module that is installed directly in the test vehicle in order to control steering and follow a pre-determined course. The vehicles position is also tracked by cameras and GPS, the latter of which is accurate down to plus-or-minus one inch. Ford and ASI have been building upon the technology since 2013, and now they are optioning it out to Ford’s auto industry cohorts. What a bunch of swell guys and gals!